Hot Tips from a client strategy call. 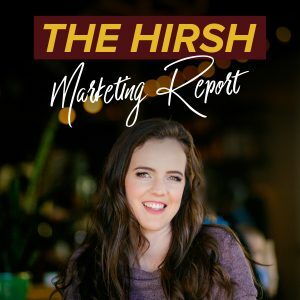 Today I wanted to hop into your inbox and share some Hot Tips from a recent strategy call with a client. These are tips that will be relevant to any business owner, so I’m sharing them with you! This is an exercise I work through with a lot of my new clients. We focus on these three things to really clarify marketing copy and strategy. 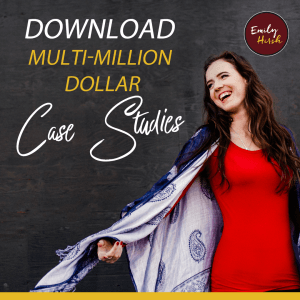 #1: Dig deeper into your connection with your Ideal Client: What is their internal struggle? Typically that surface-level explanation reflects in their current marketing copy. I ask questions that will pull out a clearer picture: What are the struggles keeping your Ideal Client awake at night? What is the struggle they don’t tell anyone about? And how does your product/program/service answer those issues? Most of the time my clients know the answers to these questions; they just haven’t verbalized them yet. When we have this information laid out clearly, my Team can create copy that sells. Your Ideal Client’s external struggle (you probably know this one). Your Ideal Client’s internal struggle (dig deeper). How is your product or service solving that problem for your Ideal Client? #2: Create connections with people: Tell your story. Move from surface-level stories to detailed accounts. People want to connect with you through stories. That’s what your marketing strategy should be doing to grow your business. It’s so important that you dedicate time to creating a connection with your audience in everything that you offer: videos, lives, emails, blog content, podcasts, whatever… especially if you’re new to online business. People want to connect with people. Your people want to connect with you. And lot of times your Ideal Client is you from a few years ago, so ask yourself: What would I have wanted to hear then? #3: Ensure urgency in your marketing strategy: Include urgency + bonuses that speak to your Ideal Client’s internal struggle. The reality is that people will not take action unless there’s urgency. Make sure you plan for urgency: prices are increasing, doors are closing, bonuses are expiring, etc. Even if you’re not “sales-y,” even if that’s not your vibe, your Ideal Client needs to have reason to purchase your product or service now. And remember that your Ideal Client has to see value in what you’re offering, including the urgency factor: You need to bring the urgency factor back to your Ideal Client’s internal struggle and main pain point. For example, inside my Virtual Assistant online program, I offer a bonus 30-minute coaching session with a trained coach so that new clients can see real results within one-on-one attention. And I know this will solve my client’s main objection, which is: Will this content work for me? Will I be able to get results, too? What if I can’t apply the materials? My first tip is definitely the biggest one, so that’s the best place to start. And when you’ve applied one or more of these tips to your business, REPLY and let me know how it went! I would love to hear from you.